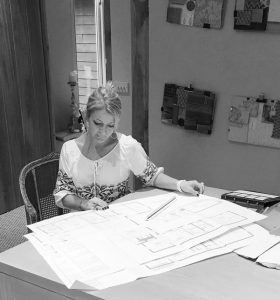 Sophie Head has over 20 years of experience working on a diverse range of projects from city apartments to country homes and international residences. All aspects of project spaces are planned and considered with the utmost care. Working with a team of experts built up over many years, the ethos at SH Interiors is to spend time to develop a project alongside the client and ensure that their own individual style is reflected in the final result. Architecture and use of space are at the forefront of every design, and room planning is as much a consideration as colour and finish. Sophie studied at Inchbald School of Design and has a deep understanding of design and colour, which is reflected in the eclectic library she has grown for her clients benefit. Inspired by the influence of fashion, her designs also combine ideas and individual touches through fabric, wallpaper, texture, interesting art and furniture. A style board is developed for each project reflecting current trends, SH Interiors’ library and the client’s existing furniture, decorations and art. This “new slate” approach ensures clients are in constant touch with the evolvement of their design project from beginning to end. Click here to see some current ideas on the SH virtual style board. Get in touch if you have an interior design project from a single room to an entire house or if you need a one off consultancy or a single piece of furniture reviving. SH Interiors is happy to work on residential, rental and styling projects as well as individual sourcing needs for flooring, lighting, art and sculpture, modern and antique furniture, fabrics and wallpaper. Designing exciting spaces for living.